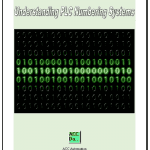 We will be looking at these instructions in the Productivity 1000 series PLC. Adding to our favorite instructions helps us to organize the instructions. We will also look at organizing your favorite instructions. Let’s get started. The favourites are a heading under the instructions window of the productivity suite software. You can click on the instructions window or use the main menu Tools | Instructions List to set the focus. Right clicking on the instruction will bring up a menu that will allow you to add to your favourites. This will now put the instruction under your Favourites. Right clicking on the instructions in your favourites will call up a menu that will allow you to remove the instruction. 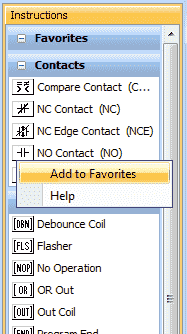 Favourites are a good way to separate the instructions that you will be using more often. 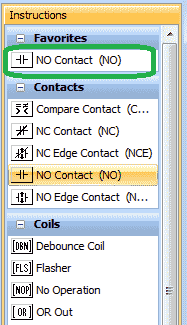 NO Contact (NO) – The normally open contact (NO) enables power flow in a run when contact is energized. It disables power flow when contact is de-energized. Logic is solved left to right top to bottom on each scan. 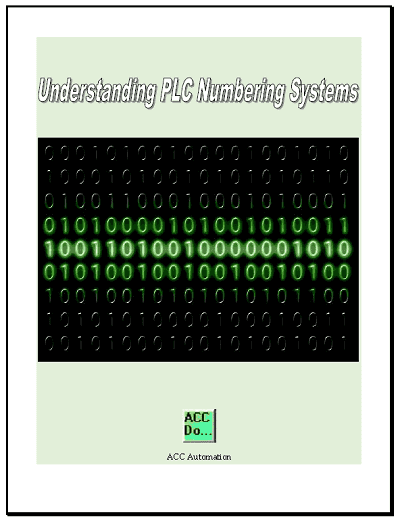 Here is a post that explains the scanning of the PLC. NC Contact (NC) – The normally closed contact (NC) enables power flow in a run when contact is de-energized. It disables power flow when contact is energized. 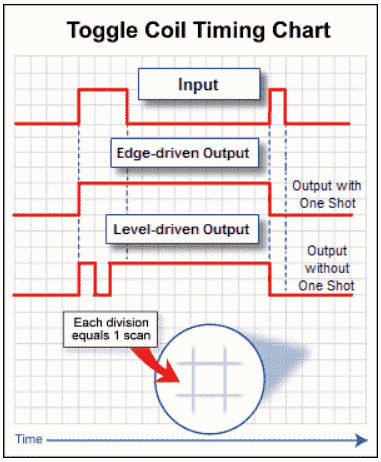 NO Edge Contact (NOE) – The normally open edge contact acts as a one-shot input on Rising Edge or Falling Edge signal. It allows power flow for one scan when contact is energized. This is sometimes referred to a one shot in the PLC. Here is a post that discusses the one shot logic using just bit logic. 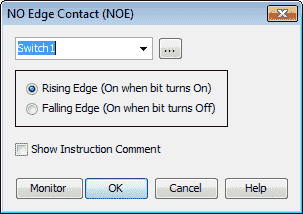 NC Edge Contact (NCE) – The normally closed edge contact acts as a one-shot input on Rising Edge or Falling Edge signal. It allows power flow for one scan when contact is de-energized. Compare Contact (CMP) – This input contact compares two numerical values and, according to a selected operand, enables or disables power flow in the rung based on the result of the operand. In the example above, if the real time clock seconds is greater than or equal to 30, the output Out3 will be on. Out Coil (OUT) – This will provide an output that responds to the state of the rung. The one shot selection will turn on the output for just one scan during a transition from off to on. We have been using output coils in the above examples. The actual output can also be selected as a One Shot. See above link on how to make a one shot in the PLC. 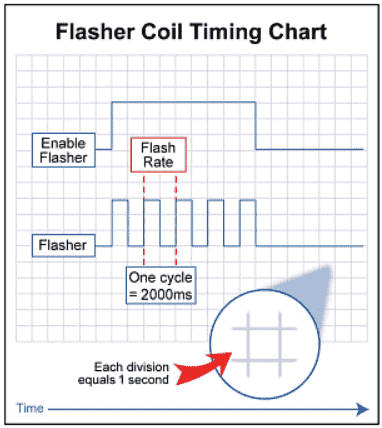 Flasher (FLS) – This will cycle an output bit on and off at a programmed rate. We set the flasher cycle time. In our case we are using 1000 milliseconds. This means that the output Out4 will be on for 0.5 seconds and off for 0.5 seconds when the rung condition is true. Here is the timing chart for the flasher instruction. 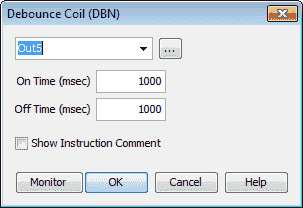 Debounce Coil (DBN) – Eliminate output coil chatter due to run-enabling contact bounce. Chatter will occur if our logic allows things to turn off and on quickly. 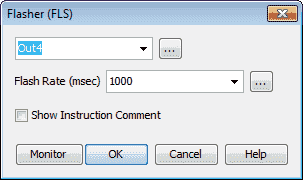 If we compare an input and that input changes quickly above and below the compared number, this would create chatter. In our example the rung condition must be on or off for 1000 milliseconds (1 second) before the output will activate or deactivate. 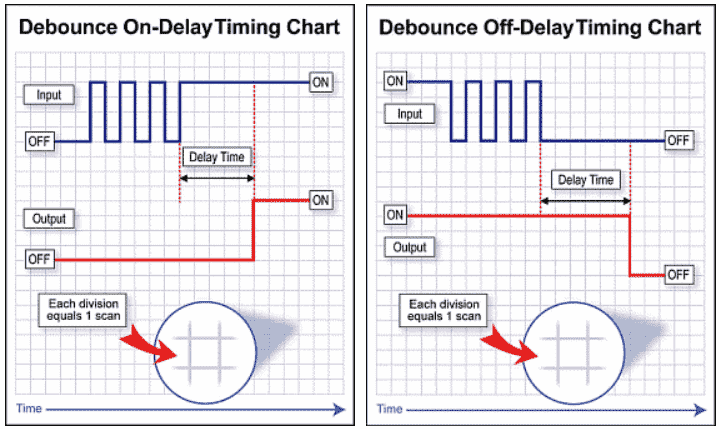 Here is the timing chart for the debounce coil instruction. Or Out (OR) – This instruction allows an out coil with the same tag to be used in multiple rungs. Note: The ability to have the same output in multiple rungs may make the troubleshooting of your logic difficult. In my experience this should be avoided. 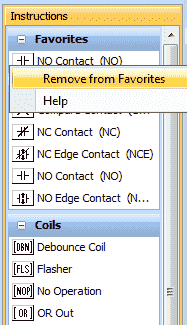 Set Coil (SET) – Set the output in a latched condition when the rung is enabled. Reset Coil (RST) – Reset the output (unlatch) of a corresponding set coil. 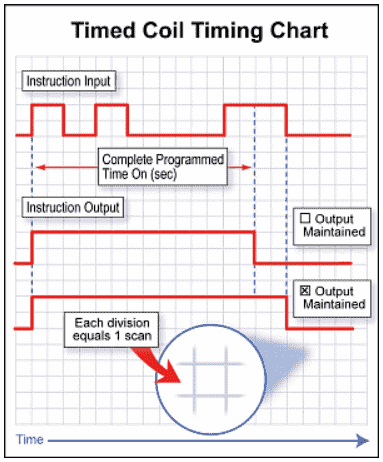 The set and reset instruction are used together to turn on/off an output. This is similar to our simple start stop circuit that we discussed previously. 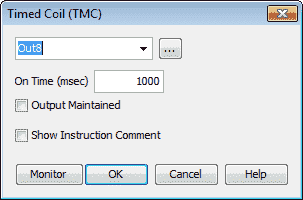 Timed Coil (TMC) – Hold the state of the output ON for a predetermined time. The output will complete the timed value duration before turning off. 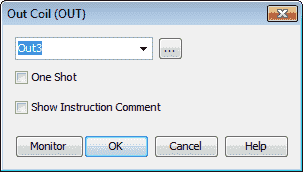 Output maintained will enable the output to remain on after the time as long as the input condition is on. In our example, when switch 1 is turned on the output will change state. If it is on then it will be turned off. If it is off then it will turn on. Here is a previous post explaining the logic behind the circuit. 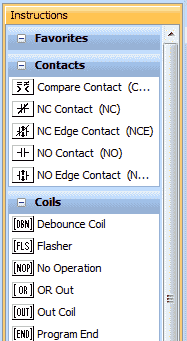 Here is the timing chart of the toggle coil instruction. No Operation Coil (NOP) – Indicates that the rung will have no operation. It is sometimes used as a place holder in the ladder logic. Program End Coil (END) – Marks the end of a task. Watch the video below to see the contact and coil instructions used in our Productivity 1000 Series PLC. This software contains all of the instruction sets and help files for the Productivity Series. Next time we will look at counter and timer instructions in the Productivity 1000 Series PLC.